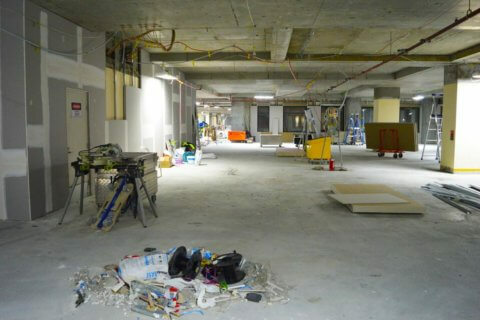 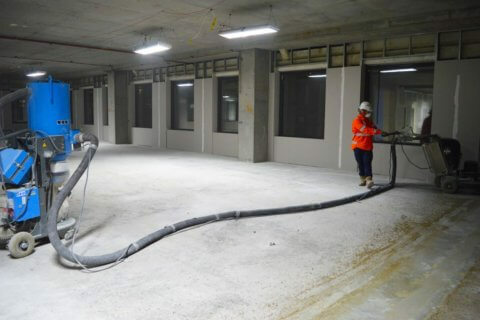 Our team members have just completed extensive Concrete Grinding works for our client FDC Fitout & Refurbishment for a project at 477, Pitt St, Sydney. 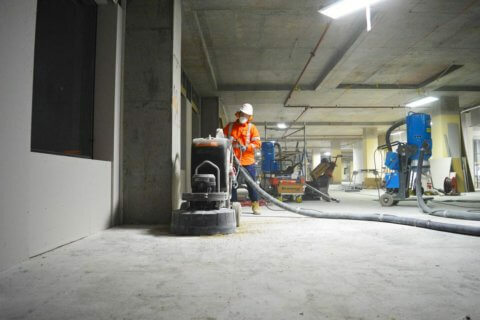 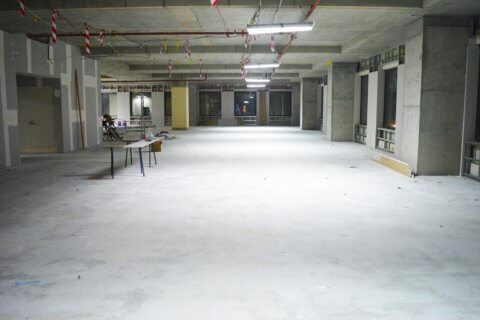 These works involved the concrete grinding of the entire floor to remove carpet glue and clean up the slab. 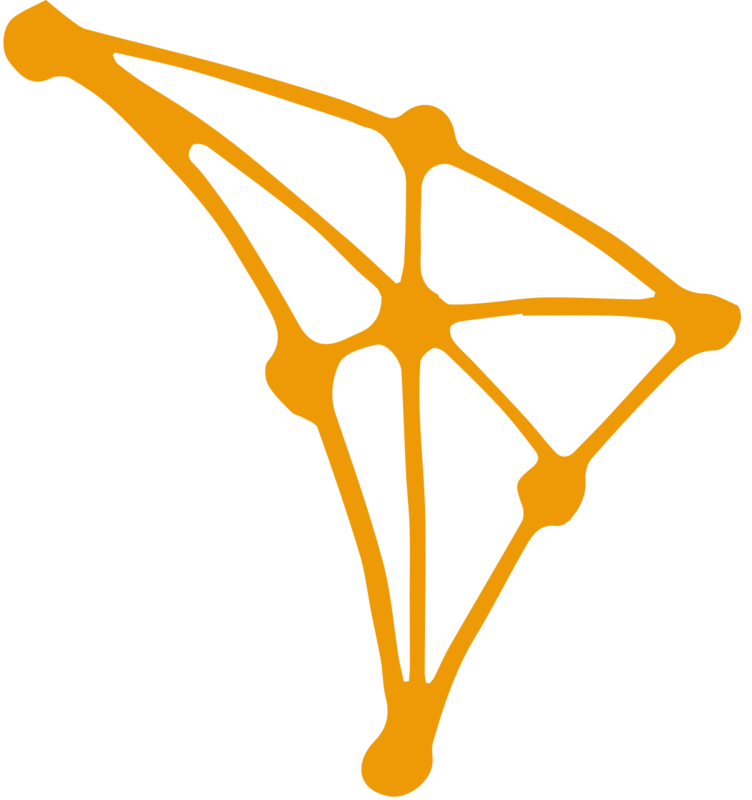 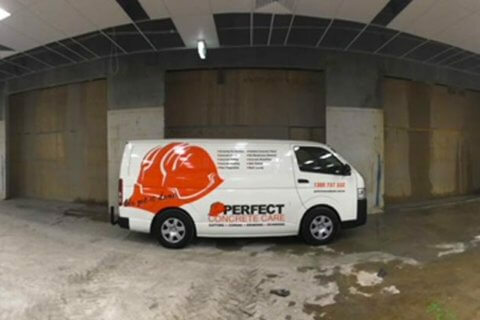 Our team members met with our client to discuss their requirements. 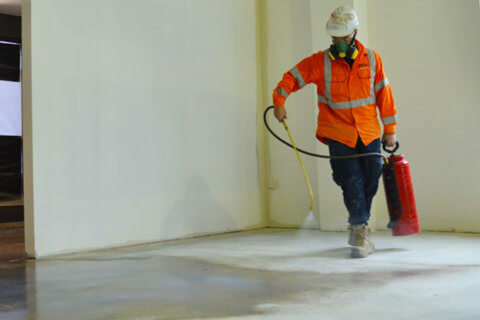 The client was looking to remove a layer of carpet glue from the surface of the concrete slab to prepare the surface for an office make good. 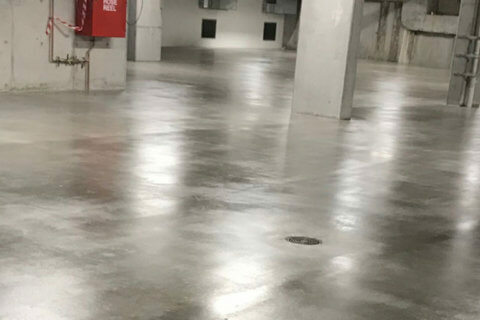 Our team members began by inspecting the floor surface and marking any defects in the surface or any metal objects sticking up that could affect our grinders. 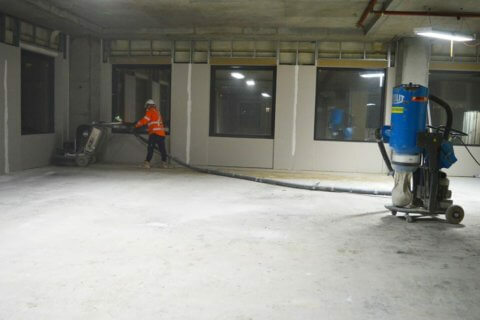 We then loaded out our big HTC 650E Classic onto the site. 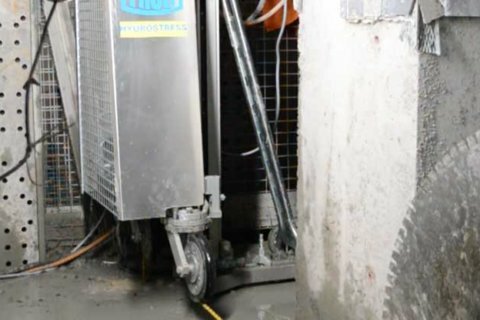 Our team members then set up our Tyrolit VCE4000D Dust Extractor, this connects to our grinder to drastically reduce dust created during the grinding process. 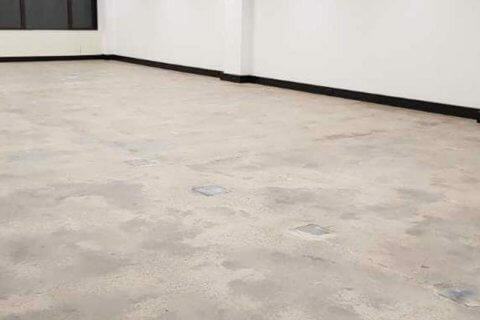 Once our equipment was all setup we done a test grind on a section to remove the carpet glue and ensured that our client was happy with the finished result of the slab. 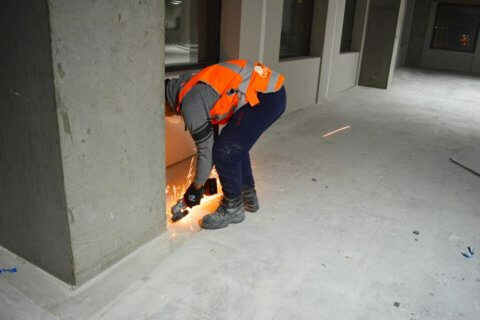 Our client was happy so we proceeded with the first pass of our grind. 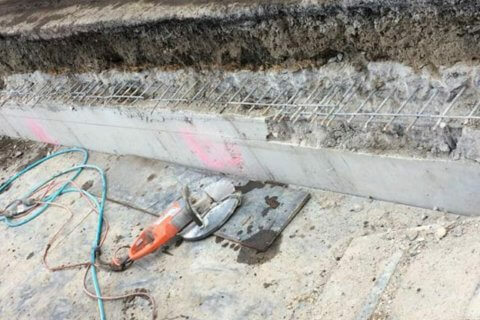 As we were tasked with removing the carpet glue from the slab our team members firstly installed the low grit diamond shoes onto our grinders. 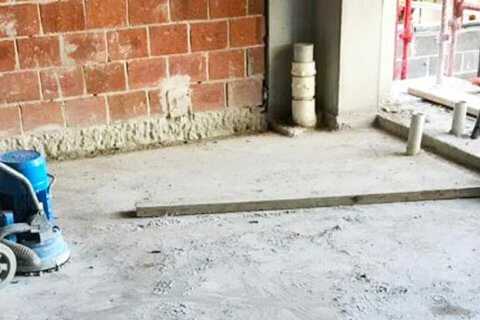 These aggressive diamond shoes ensure we get through the carpet glue and down to the slab. 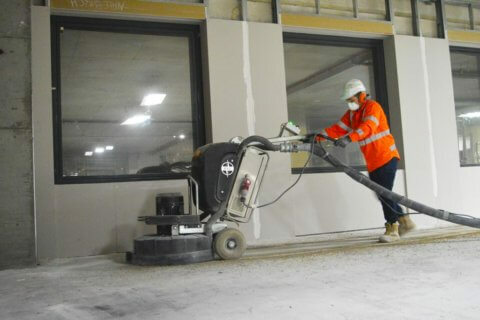 Once we had removed the carpet glue our other team members followed behind with our HTC 420VC Grinder with higher grit diamond shoes to ensure the surface was smooth. 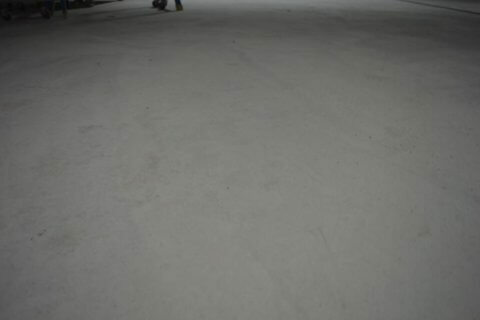 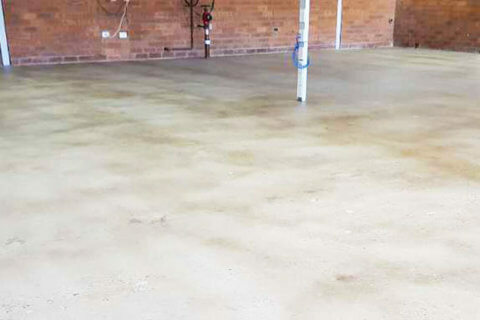 The Result: Our client was very happy with the condition of the slab after our works were carried out. 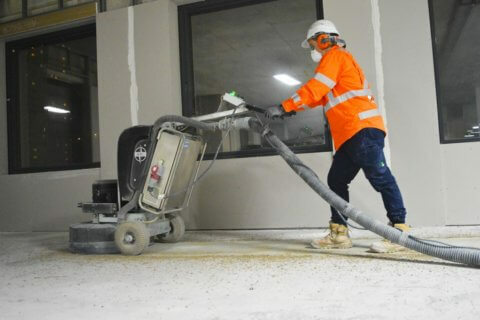 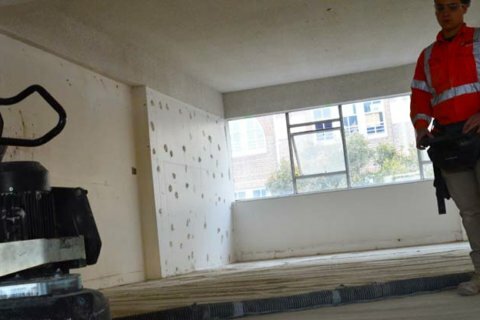 PERFECT CONCRETE CARE is capable of carrying out project like Concrete Grinding of the Entire Floor to Remove Carpet Glue and Clean up the Slab – 477, Pitt St with a quick turn around, give us a call today on 0452 249 273.